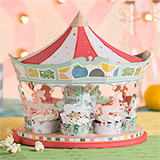 Be the hero of your next party with an amazingly festive carousel full of cupcakes! Its "tent" is a lid which lifts off for even more surprises inside. 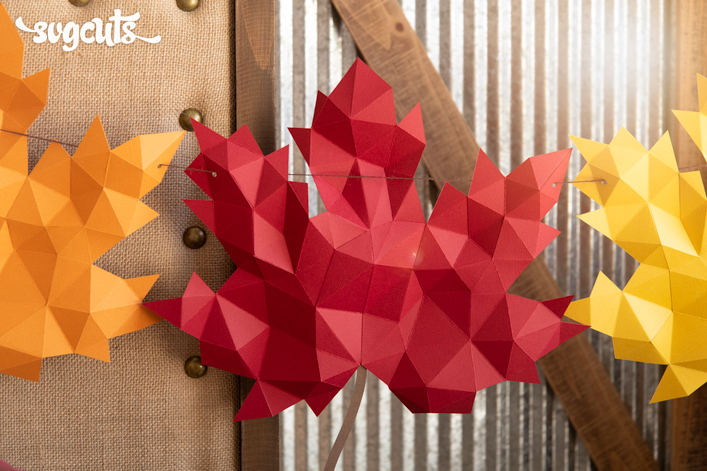 Make it as a centerpiece or a gift that will never be forgotten. 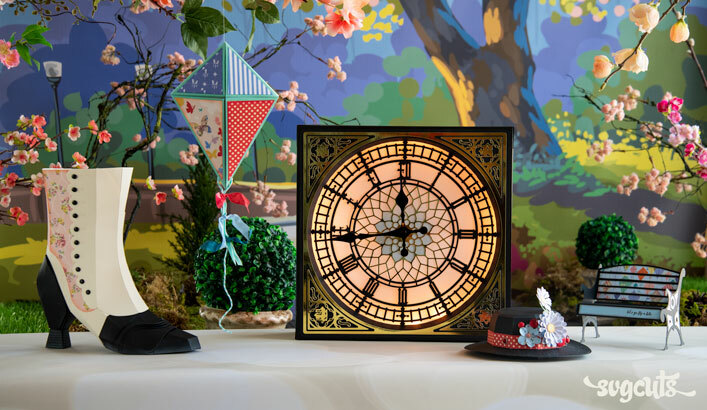 If you love carousel horses, you'll love our Carousel Horse Gift Bag, which would be lovely for a wide variety of birthdays or as a baby shower gift bag. 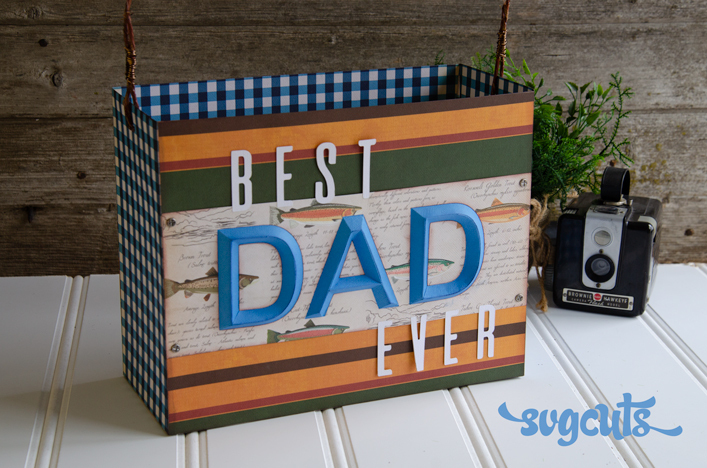 You could even turn it into a Christmas gift bag. 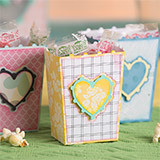 You also get a super easy-to-make Party Favor Box (you can cut two boxes from one piece of 12x12 paper). 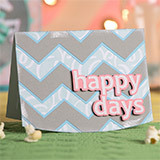 Our Happy Days Chevron Card would make a great birthday, anniversary or retirement card, and you can of course use a different caption with the chevron design. 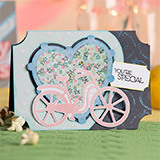 The Bicycle Card can also fit a wide variety of occasions, depending on the stamped sentiment you use (or you can leave the sentiment off altogether)! 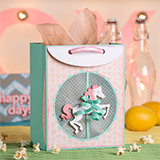 Bicycle Card - 6.5 by 4.6"
Carousel - 11x 11x 11"
Carousel Horse Gift Bag - 7.3 x 9 x 3.7"
Happy Days Chevron Card - 6.5 x 5"
Party Favor Boxes - 3 x 4 x 2"
SCAL2, SCAL3, ECAL, MTC, Silhouette Studio Designer Edition and Cricut Design Space. 12x6 and 8.5 x 11 mat users can only create the individual "flat" elements such as the bicycle and carousel horse designs. 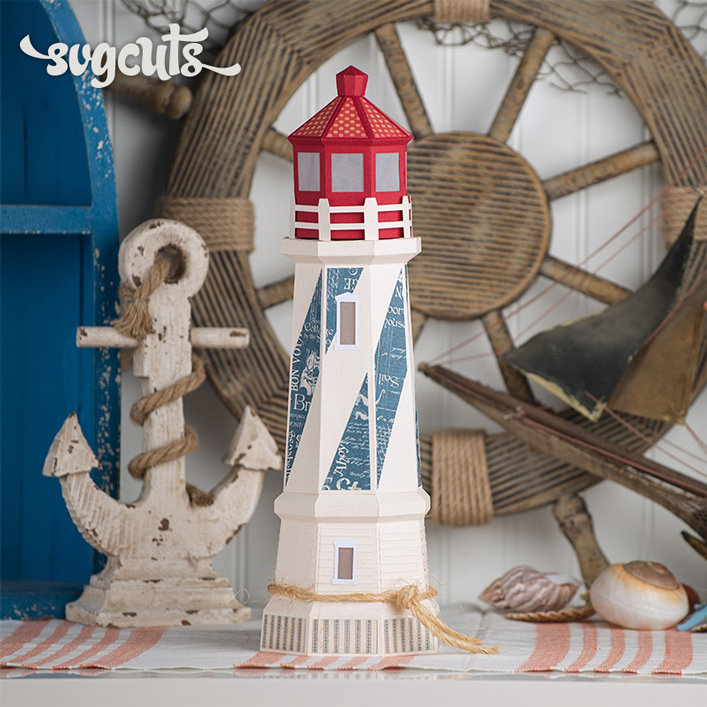 Dear Lizzy Day Dreamer by American Crafts (no longer available, but similar to the newest Dear Lizzy Collection). 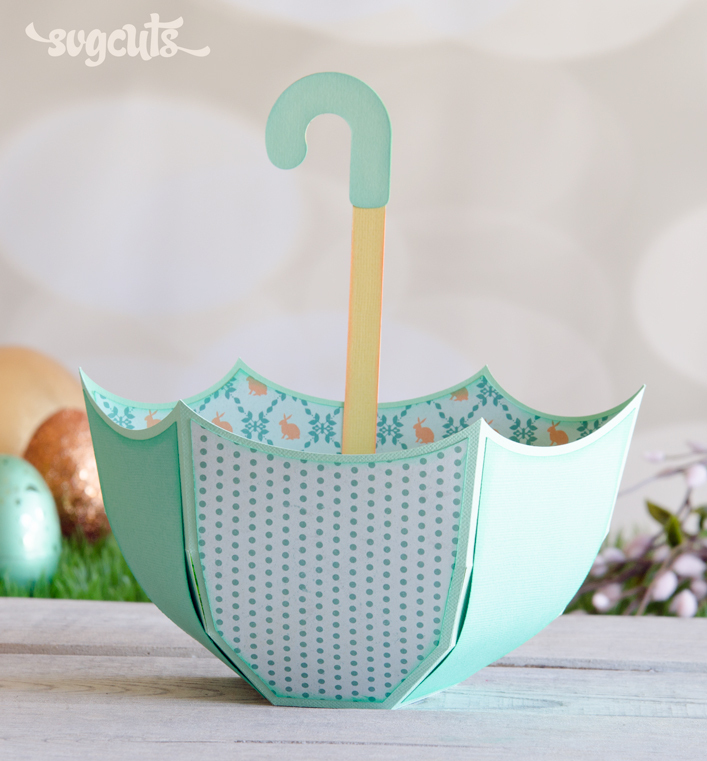 Dotted vellum is by Doodlebug Design. Holographic paper is by Darice (from Jo-Ann). "You're Special" stamp is from the "Find Joy" stamp set by Hero Arts. Carousel base is 11" in diameter and can be placed on a smaller or larger lazy susan (turntable) for a nice spinning effect. Available on Amazon.com, click here.